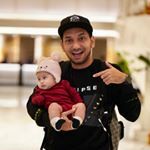 Who are the top Instagram influencers in Malaysia with the most followers? Siti Nurhaliza tops the list with 6.2M IG followers, almost 20% of our population! The world is changing fast and it seems to be even faster on the Internet! 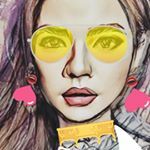 According to this report back in 2016, Nora Danish was the top Instagrammer in Malaysia with 3.2 million followers. 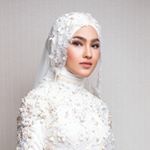 Fast forward to 2019, Siti Nurhaliza is now the king queen of Instagram here with 6.2 million IG followers, almost double of Nora Danish's base 3 years back! Read on to know more about the superstars on Instagram! Don't forget to read towards the end of this article on insights of how Malaysia is an Instagram-crazy nation. Topping the list is Asian pop icon Dato Sri Siti Nurhaliza. She is a Malaysian singer, music producer and businesswoman. Also known as "Asia's Celine Dion", Siti has won numerous local and international awards. Sharing the spotlight is Neelofa. 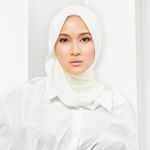 She is Malaysian actress, television presenter, commercial model and the founder of Naelofar Hijab, a local hijab brand. Nora Danish is a Malaysian actress, model and television host. One of Malaysia's most recognizable comedians, Zizan Razak is also a television host, actor and singer. Malaysian model, actress and TV host Scha Alyahya was once an Air Asia flight attendant before quitting and joining showbiz in 2006. 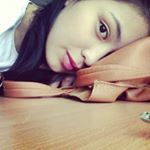 Hanis Zalikha is a blogger, model and actress from Kuala Lumpur, Malaysia. She has also been nominated for the Most Influential Blog Award in 2011. 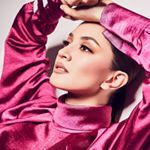 Nur Fazura is a Malaysian actress, singer, television Host, VJ and an entrepreneur. A former fashion design student, she is the founder of clothing line Fazbulous. Janna is a 23 year old actress and singer who began acting in 2012 and had her music debut in 2016. Elfira began her acting career at age 12 and is an ambassador for brands like Maybelline, Motosikal Honda, Sunway Lagoon and more. Mira is an actress, model, host and entrepreneur, founding MF Shawls in 2017. Note: Instagram followers count is as of 19 March 2019. There are 11 million Instagram users in Malaysia as per our report in 2018, the total IG accounts have since increased to 12 million in 2019 at the time of writing, that's close to 38% of our total population. According to this report by Kantar TNS, Malaysia has the highest penetration of Instagram usage among the APAC countries. 73% of connected consumers in Malaysia are using Instagram! The same report has also mentioned that young people (16 to 24 years old) are the biggest Instagram users. By considering the stagnant growth and potential decline of Facebook here, it is important for brands to reach out to consumers via Instagram. You can read our articles on Instagram marketing, don't miss out this particular case study on how to maximize an influencer campaign by using testimonial video.